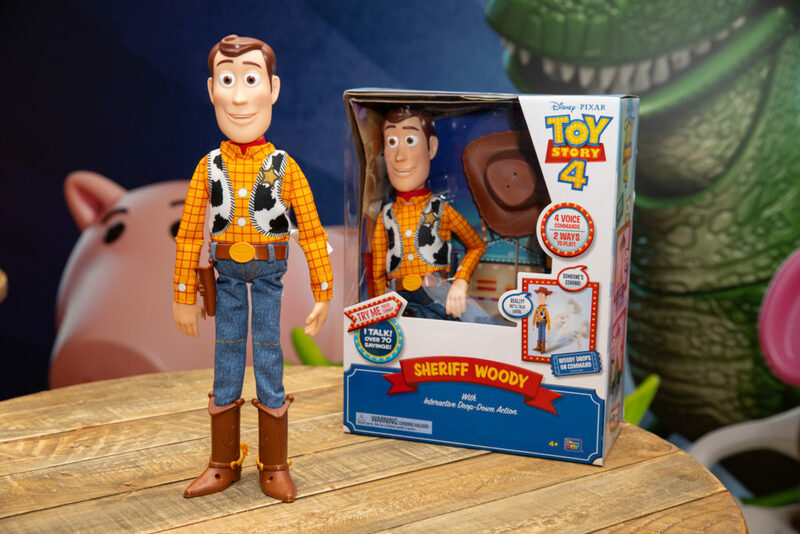 On the 22nd January 2019, Disney unveiled key Toy Story 4 product lines alongside licensee, Thinkway Toys, at London Toy Fair. The exclusive reveal featured favourites Woody and Buzz, but as never seen before. For the first time ever, the 12-inch Buzz and 16-inch Woody action figures host new and innovative capabilities allowing them to be voice activated and fall-down – bringing the film’s storytelling from screen to real life. The latest products also use the most advanced Voice Command technology on the franchise’s 12-inch toy figure category to date. Also revealed at London Toy Fair was Forky, Bonnie’s reluctant new toy – with figures that feature interactive and dancing capabilities. Forky was first introduced in the Toy Story 4 teaser trailer released in November 2018, seen by 1.9 million people in the UK alone. Disney•Pixar’s Toy Story 4 product will be on shelf at UK retail outlets from the 22nd April 2019.